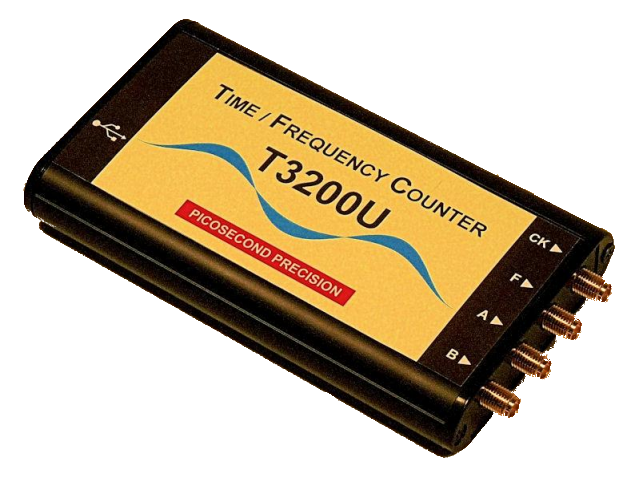 The advanced Time/Frequency Counter T3200U is contained in a small, light, and handy case connected by the USB 2.0 interface to computer (notebook, netbook, or PC). It combines a 35 ps precision (RMS) of single-shot time-interval measurement with affordable cost and reliability for thorough industrial and scientific applications. 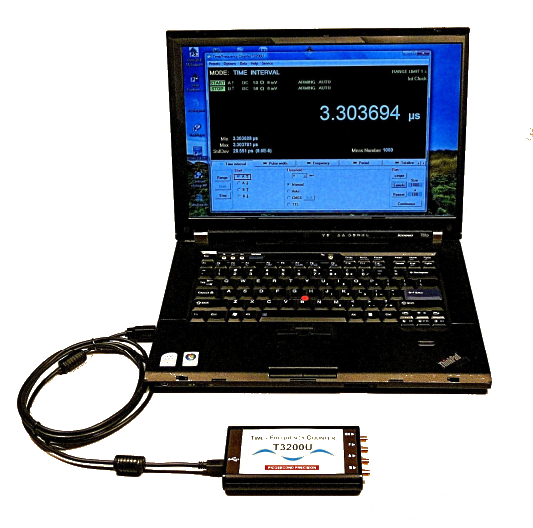 The supplied software creates a user-friendly graphic interface and provides many useful functions for accurate control, diagnostics and statistical processing of the measurement data. The heart of the instrument is a newly developed counter chip, which contains an interpolation time counter with two precise two-stage Time-to-Digital Converters, a FIFO memory which allows for high measurement rate, and a dedicated microcontroller. The counter T3200U contains a Temperature-Compensated Crystal Oscillator (TCXO) which provides high accuracy and stability at reasonable cost.